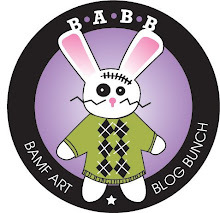 BAMF Art Blog Bunch: Hello. You rock too, Jill! Let me and Scott know when things settle down a bit in the Brown household. Me and Scott still need to have you over for drinks and comedy watching!